Wasn’t my car just here? You thought it was safe; sure, the sign said that unlawful vehicles will be towed, but you weren’t going to be long. And you’d keep an eye on it. Then something unexpected happened. Maybe an old colleague is eating at the same place or your family got stuck in traffic. Those minutes turn to hours, and you forget about your car that was parked where it shouldn’t have been. Until it’s time to go and it’s nowhere to be found. And you may not even have anyone around who can tell you what happened. What can you do? You need to identify where your vehicle was taken and how you can get it back. But if you have no information, how can you even start? 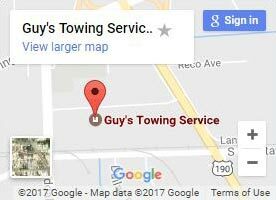 How do you find where your car was towed? Before you can pay or contest the towing fee and get your vehicle back, you need to find out where it is. Unfortunately, this isn’t always as straightforward as it should be. However, there are several resources available to help you out. 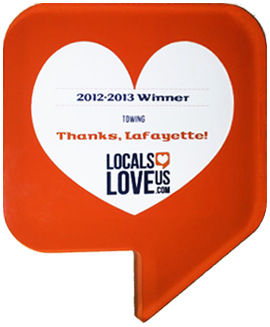 Lousiana has an in-depth list of laws about vehicles and towing. It covers regulations required for tow trucks, as well as when a car can be legally towed from public and private property. If your vehicle is towed from a parking lot, the property owner must have signs at both the entrance and exit at a minimum. The signs are required to have the name, address, and phone number of the towing company they have an agreement with. Property owners are also required to have a copy of the contract in their business office. This contract must explain under what circumstances vehicles are towed and where they are towed to. What if I can’t find a sign or the property owner? Depending on your specific location, there may not be any signs posted and finding the property owner could be difficult. On certain property types, the towing rules are different. Parking at a corner with a bus stop, for instance, will give you a $40 fine and is also a towable offense. And being within 3 feet of a private driveway gives the same fine, with no posted sign required. 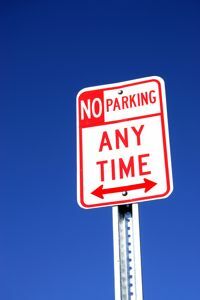 For residential parking offenses in particular, the property owner doesn’t need a contract with a towing company and isn’t required to have the information of the business on hand. A good place to check to see where your car was towed is an online database. Find my tow or Towedcar.com are good places to start. It’s easier to find your vehicle if you have your VIN or license plate number on hand, but filling out the description fields can sometimes be enough. Learn your license plate ahead of time if possible, because it’s the simplest way to track down your vehicle; it’s good for more than saving a trip to the parking lot when checking into a hotel! I still can’t find my car. What do I do? If there’s no information on the towing company available to you and you can’t find your car in an online database, you aren’t out of luck. You could try calling the city’s parking division if they have one. If not, try calling the local police department’s non-emergency number. Not 911! Every police department in the country is required to have a number for situations like this. To find this number, do a web search for the city police department. The number will either come up directly in the search engine or lead you to the department’s website. For Baton Rouge, for example, the non-emergency number can be found on the left side bar on every page. The police will be able to tell you who towed your car and where you can find it. Larger cities may also have a 311 operator for less urgent issues like this. Can I dispute a towing charge? Sometimes when your car is towed, you’re clearly in the wrong. If you took a chance to park in an accessible parking space, for instance, there’s no getting out of paying for towing and the associated fines. But some situations aren’t clear cut. A tow truck can be a lifesaver when you’re broken down on the side of the road in an unfamiliar area. But it has the opposite effect when someone else has your vehicle towed away. Some tow truck operators charge outrageous amounts for their towing service because many states don’t have a limit on how much they can charge. 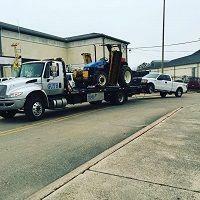 In Lousiana, there is a limit on non-consensual towing. This changes depending on where the vehicle was towed from and what kind of tow truck was used. This amount ranges from $54 per hour for a light-duty stand by to a $2156.50 flat rate for an air bag unit. Storage fees are also capped at $19 for outside storage up to $38 per day for oversize storage. More details can be found from the Lousiana Public Service Commission. What if I get charged more than these rates? All non-consensual towing must include an invoice explaining where to address your complaints. It must also include the name of the towing company and where to find your vehicle. Any companies that do non-consensual towing have to follow the prescribed rates. If not, you can submit a formal complaint. If this is successful, you can receive up to 200% of the overcharged amount back as a refund. Not everybody knows that these rates are capped, and some towing businesses take advantage of this. You are entitled to an itemized list of charges so you can make sure they match the list of prescribed rates. It’s also recommended that you avoid paying in cash and use a credit/debit card or another traceable form of payment. This way, if you find out that you were overcharged later, you have a record of the transaction. What about my belongings in the car? Sometimes, a person who has their vehicle towed needs to gather proper documentation to get it back or it’s somewhere in the car. Under Lousiana law, you are allowed to retrieve any personal belongings that are not attached to the car (radios, tires, etc.) including laptops, cell phones, wallets, and of course your house keys! A towing company cannot forbid you from getting these items, but they are legally allowed to charge you for storage until you produce the required information to have your car released. The best way to be prepared when your vehicle is towed is to know the law and your rights. People that aren’t aware of their rights can be taken advantage of by duplicitous companies or might not know that they can do anything when their car is towed unjustly. Protect yourself and your vehicle so no unscrupulous towing businesses can take advantage of you!